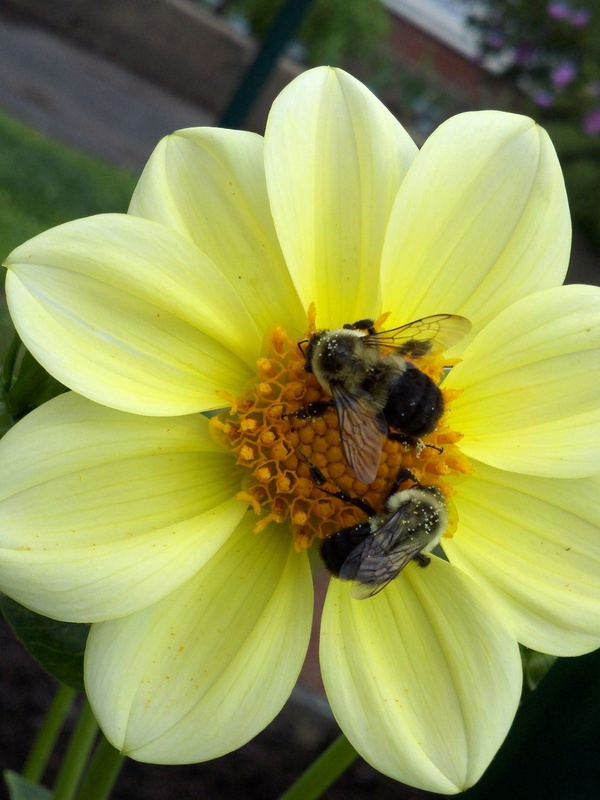 Last week’s blog entry by Dawn Pettinelli was devoted to National Pollinators Week, stressing the importance of pollinators and their ecosystems. Between the vegetable garden, the flower beds, and the hanging baskets there is no lack of bright, beautiful flowers in our yard that have bees, butterflies, and other insects flying among them. I recently walked past a male Winterberry, Ilex verticillata, in my yard. As it doesn’t have very showy flowers or unusual foliage it has been relegated to an inconspicuous location on the side of the house where it is still in proximity of the female winterberry. However, as I strolled past it en route to the window boxes at the front of the house, something caught my attention. The small white flower petals were dropping in such large numbers that it looked like snow falling to the ground. Looking at the bush I saw that there was a flurry of activity going on among the leaves and blossoms. 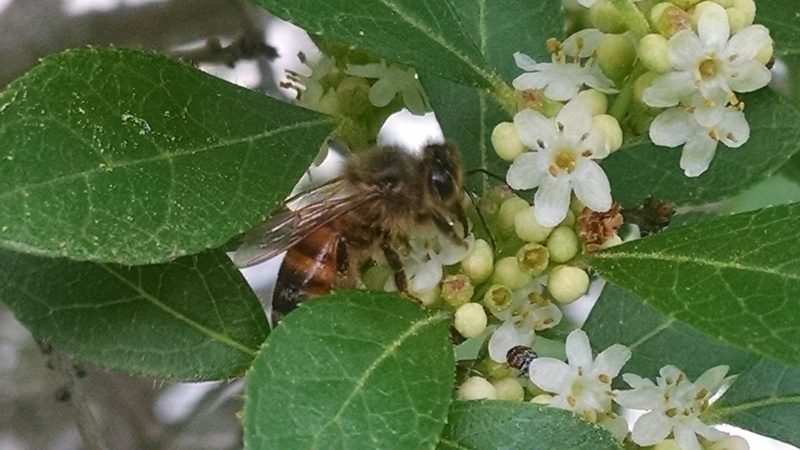 The number of bees and other insects visiting the tiny flowers was awesome. The drupes of the female Winterberry are an important food source for birds and can persist on the branches long into winter. 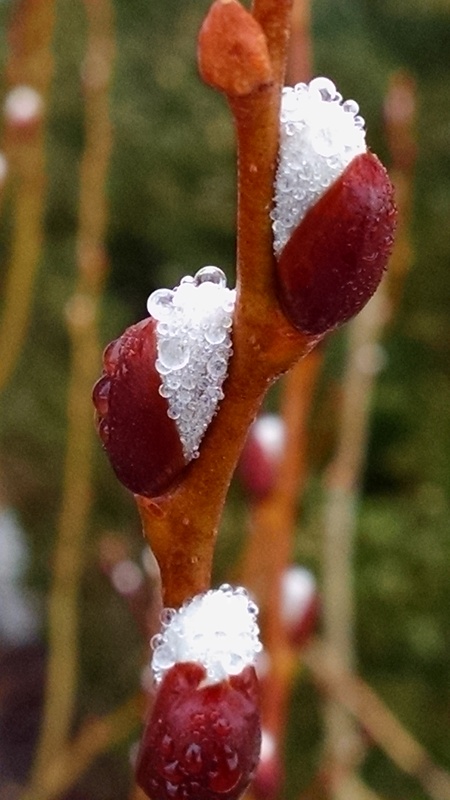 It is a deciduous plant and therefore it is even more striking to see the bright red berries against a fresh snowfall. I then started to look at some of the other plants in our yard that had been selected more for their utility or foliage than for their blossoms. 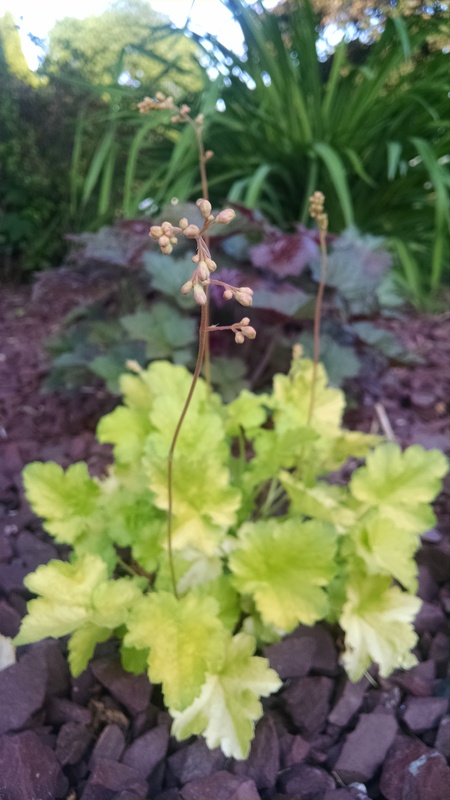 There are three different varieties of Heuchera that I chose for their foliage which ranges from lime yellow to beautiful sunset colors to dark, almost purple leaves. 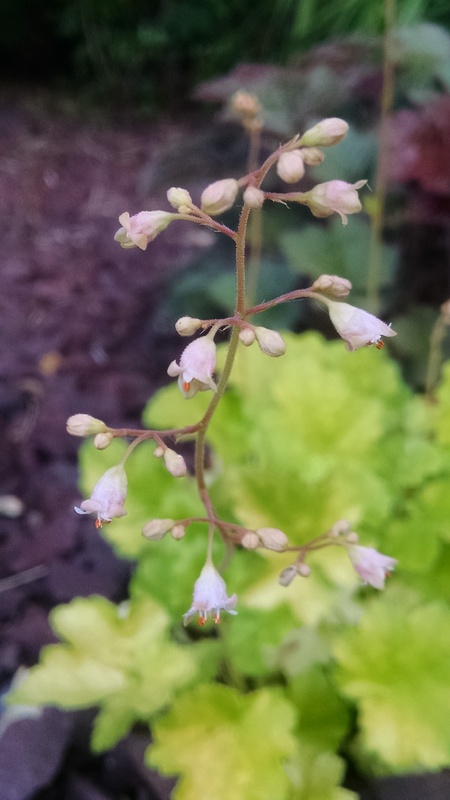 I almost forget that they will produce the delicate stalks and tiny bell-shaped flowers that give it its common name of Coral bells. 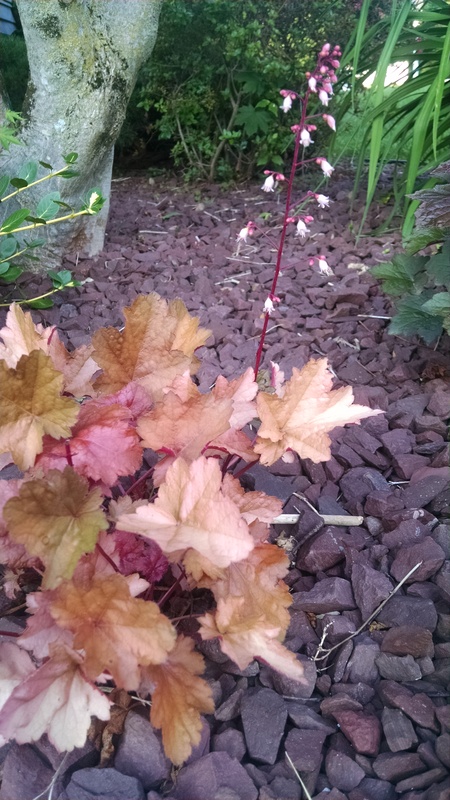 The main axis of Heuchera have an indeterminate growth that is known as thyrse. The native Americans used some species of Heuchera medicinally as an anti-inflammatory or a pain killer. 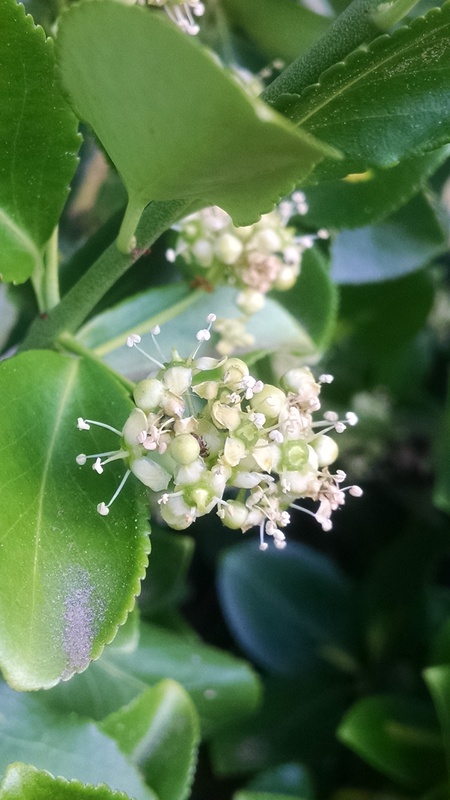 The dwarf Yaupon Holly, Ilex vomitoria, is also in bloom right now with the most delicate white flowers. The 4-petaled, ¼” tiny flowers have an almost extra-terrestrial look to them. 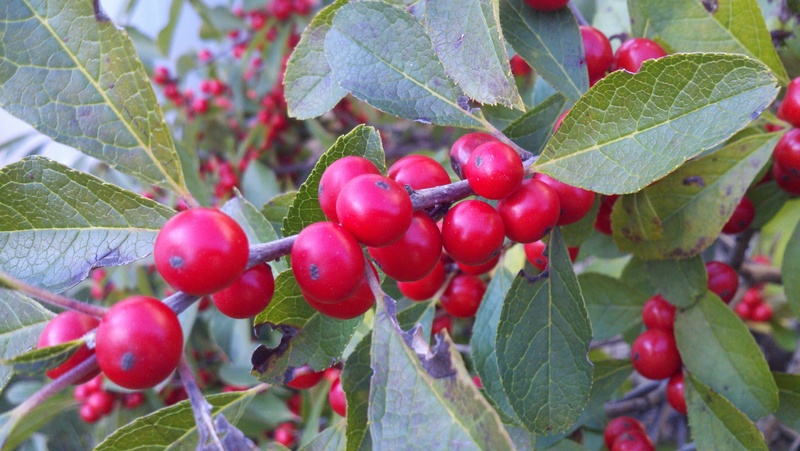 This plant will also produce small red drupes that will be eaten and dispersed by the birds. Raccoon and skunks will also consume the berries and deer will eat the foliage and twigs. The Native Americans brewed a tea from the leaves of this plant which the Europeans mistakenly believed could cause vomiting thereby erroneously giving it its Latin name. 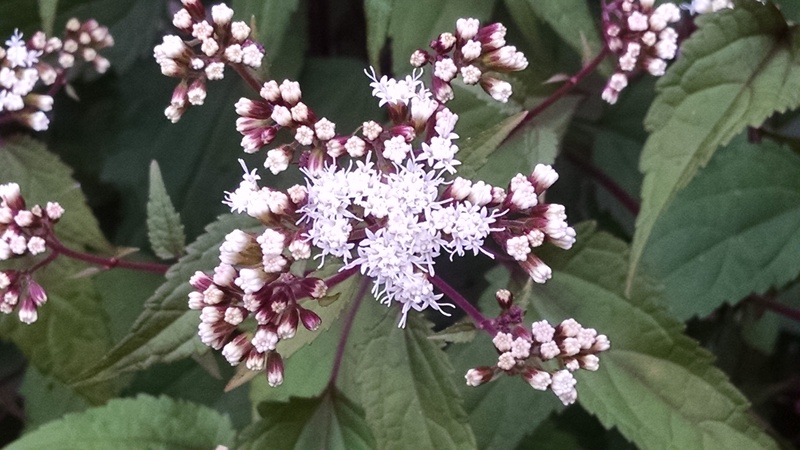 Joe-pye weed, Eupatorium purpureum, has great striking deep reddish-purple stems that lead to red-veined leaves but I love when its tiny flowers make their appearance late in the season. A Native American healer whose name was Jopi used these plants to treat ailments and cure fevers and they became known as Joe-Pye Weed. 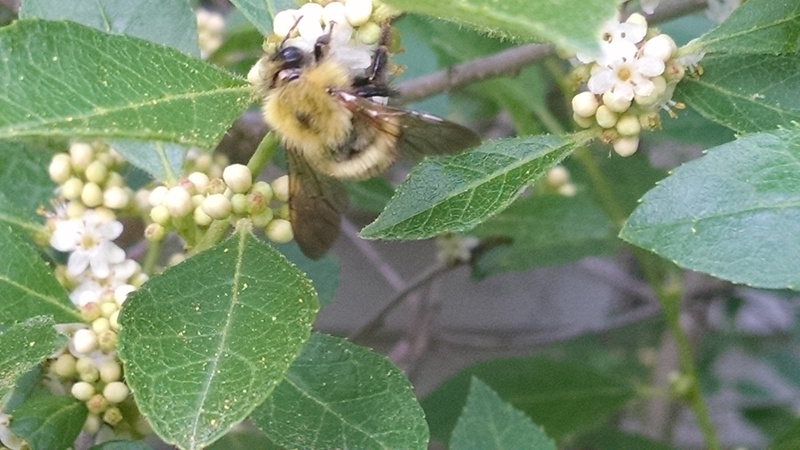 There are so many native shrubs that bring diversity to our environments whether by adding beautiful colors to our landscapes in all of the seasons or by providing the pollen and nectar that is so necessary to the bees and other pollinators. 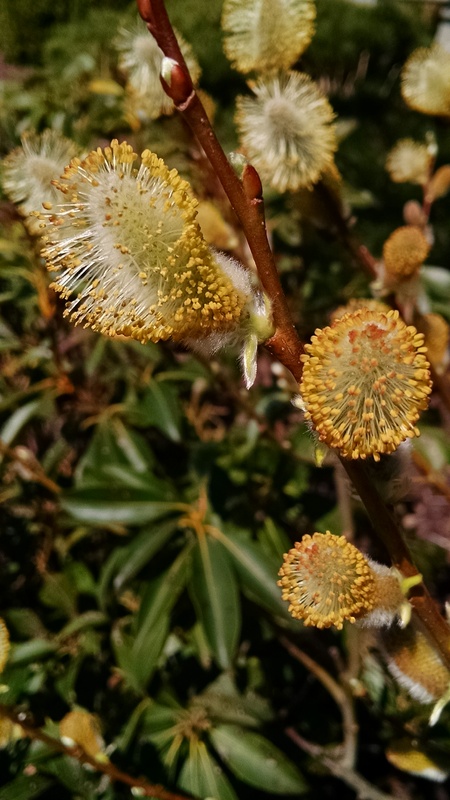 Visit the Alternatives for Invasive Ornamental Plant Species site from the Connecticut Agricultural Experiment Station and the Connecticut Invasive Plant Working Group for a list of some great native plants.